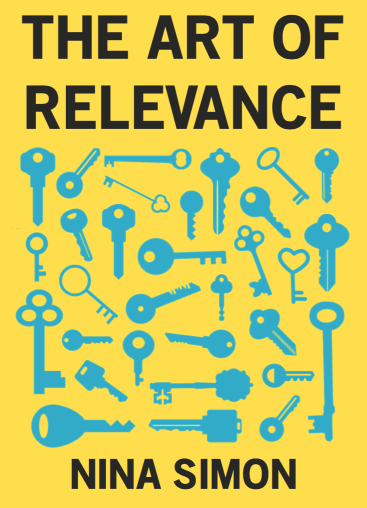 There is a natural evolution of relevance for organizations in relation to their mission or core content. Most start with one core and one door. This is both limiting and focused. A group of people start a children’s museum because they want a place for their kids to learn and build community. One core: enriching children’s lives. One door for families with small children seeking enrichment. If the institution successfully gets off the ground, that means the core is compelling enough to attract enough supporters and participants through the door. As the organization grows, it seeks to expand. Inside the building, staff and board members discuss potential new programs and audiences. They start asking: how can we open more doors for more and different people to come inside? They maintain one core, one door, and many false doors. They paint new doorways onto their exterior walls, Roadrunner-style, to attract new audiences. They hold a Dragon festival to attract Chinese families. They present a robot exhibition for older children. But they don’t change the core. They don’t change who the museum is really for. A few outsiders may be seduced into occasional entry, and some may find things they like inside. But many will feel tricked, confused, or unwelcome. The doors painted on for them were not sincere or didn’t last. They factionalize into many cores, each with its own door. There are warring ideas inside the building of what the institution is. Each faction has its own budget, its own version of the mission, and its own audience. The education team focuses on learning programs for preschool groups. The access team creates special events for families with children with special needs. The sales team pitches birthday party packages. The single institution becomes a row of motel rooms, each serving separate clientele through separate doors. The walls are connected, but the rooms are distinct. They maintain one core, and build many doors. This is the strongest path—and the most difficult. It takes courage and focus to maintain one core. It takes open-heartedness and humility to open many doors. It takes trust to hold it all together. The institution has one mission and many ways for many people to participate. Children’s Museum of Pittsburgh has one core and many doors. Director Jane Werner often describes their core as “making the North Side of Pittsburgh the best place to raise a child in the city.” Of course they do this by offering great exhibitions and educational programs at their site for museum visitors. But they also invest heavily in community partnerships. They lease out parts of their building to simpatico nonprofits and educational facilities. They spearhead massive campaigns to turn abandoned neighborhood buildings and parks into theaters, maker spaces, and town greens. They coordinate micro-grants for small grassroots efforts that help youth thrive. Each of these strategies reaches different people in a different way. Each is an authentic door out into a different part of the community. But at the heart, it’s all reinforcing their core focus on building a community where children of all backgrounds can succeed. The stronger your core, the more you can reach out with confidence. The more doors you open, the more relevant you will be.